WEST LAFAYETTE, Ind. — Purdue University on Friday (Sept. 25) suspended Phi Kappa Theta Fraternity for three months for violating university regulations and the Interfraternity Council Risk Management policy on alcohol consumption. The suspension will last through Dec. 31, at which time the fraternity chapter can petition the Office of the Dean of Students for reinstatement, said Pablo Malavenda, associate dean of students. If the suspension is lifted, the Phi Kaps would remain on probation until Dec. 31, 2010, at which time a petition could be made to be reinstated to full status. A university investigation concluded that: After an initial verbal warning on Aug. 18, the chapter continued to operate a Facebook account inviting individuals to parties at the chapter house; the chapter later coordinated an event at which alcohol was provided to minors. 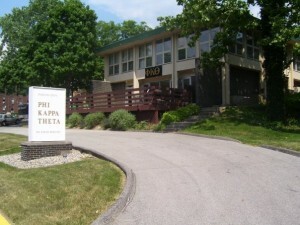 Although the fraternity will maintain a formal connection with the university while under suspension, the chapter is not entitled to: participate in programs with other recognized student organizations; participate in university-sponsored activities; participate in intramural athletics as an organization; use university logos, trademarks and name; and is not eligible for awards through Purdue, regional or national associations and the fraternity’s national headquarters. The chapter must submit a development program and receive approval from national headquarters and advisers each semester of the suspension and probation. Each semester of the suspension and probation, in consultation with the Office of the Dean of Students, the chapter must plan an alcohol education program. Each member and associate member must participate. At least 50 percent of the chapter must attend the 2009 Indiana Greek Leadership Conference in November. Chapter members and alumni volunteers must work with national headquarters to establish a plan for continuous improvement of the chapter and its programs. It must adopt all national Phi Kappa Theta initiatives and risk management practices. The chapter must follow all university regulations, state and federal laws and Phi Kappa Theta requirements.